Jim Flanders is a researcher at the UChicago STEM Education at the University of Chicago where his focus is on integrating technology into the mathematics curriculum. 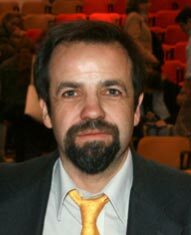 He is a senior author of Everyday Mathematics and contributing author to several University of Chicago School Mathematics Project (UCSMP) books including Transition Mathematics ; Algebra ; Advanced Algebra ; and Functions, Statistics and Trigonometry . Prior to joining UChicago STEM Education he was a member of the Chicago	Science Group helping develop the field testing of Science Companion and evaluating software for elementary school mathematics. He also wrote calculator software for the Core-Plus Mathematics Project, and was a consultant to the Everyday	Learning Corporation and the Louisiana Systemic Initiative Project. 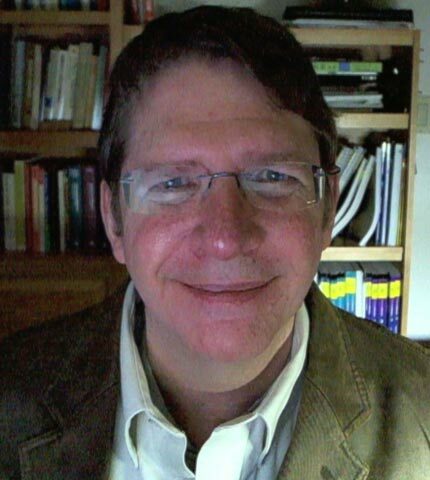 Flanders has been an assistant professor in the department of mathematics and statistics at Western Michigan University where he had National Science Foundation support to develop a course for preservice mathematics teachers on integrating technology into secondary school mathematics. He has also been an instructor of mathematics at the Colorado College and an academic dean and mathematics department chair at The Colorado Springs School. He has a BA in mathematics from Colorado College and a PhD in mathematics education from the University of Chicago. Flanders is the director of the Number Stories project. Bernardo Camou joined the Number Stories team in December 2014. He has taught Mathematics for over 30 years, mostly at the high school level. Currently, he teaches mathematics in both public and private institutions in Uruguay and geometry at the College of Education IPA (Instituto de Profesores Artigas). He earned a Masters in Didactics and Computer Environments for Human Learning from the University of Grenoble in 2004, and a PhD in Mathematics Education from the University of Georgia in 2012. While attending UGA, he taught undergraduate and graduate students an Integrated 3D Geometry Course, which used Cabri 3D. Camou has served as the President of the Uruguayan National Association of Math Teachers (Sociedad De Educación Matemática Del Uruguay). His two main areas of research are the Didactics of Mathematics and 3D geometry. For Number Stories, Camou works on different aspects of the activities including translating activities from English to Spanish, authoring new problems, and testing existing problems. He is particularly interested in thinking about the core features of a Number Story, which make it a tool to transform the mathematics of real life into interactive and engaging problems for students. Clare Stinchcombe is a graduate student in mathematics at the University of California, Berkeley. She currently teaches undergrads there; in the past, she’s also taught elementary- and middle-school students at the Center for Talent Development, high-school students in Chicago Public Schools, and college students at San Quentin State Prison. Her math research interests are in inner model theory and large cardinals. Her educational research interests are in the integration of digital and classroom instruction (specifically, she wants to know about the prospects for replacing textbooks with something that better matches what we know about how students learn), and in feedback and quality measurement in instructional design (specifically, she wants to know about the relationships between direct measures of student interaction, the feedback students give, and later measurements of their learning). Diana Barrie received her BFA and MFA from the School of the Art Institute of Chicago. She taught photography and filmmaking at the University of Northern Iowa and the University of Wisconsin at Milwaukee. After working in the reprographics industry in New York City and Chicago, she came to the University of Chicago School Mathematics Project and UChicago STEM Education, where she has performed various functions, including creating technical illustrations for all grade levels of Everyday Mathematics , illustrations for Science Companion and the Center for Urban School Improvement's STEP Literacy Assessments, and video editing for UChicago STEM Education’s Virtual Learning Center. 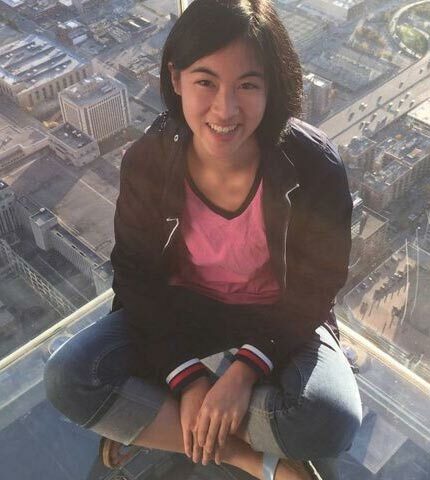 Grace Lu is an undergraduate student at the University of Chicago studying Computer Science and Economics. She worked as a Digital Technical Assistant at UChicago STEM Education during the early stages of the Number Stories project. She translated stories into Cabri activities, wrote her own stories and problems, and helped with the online platform. Grace is interested in leveraging a digital environment to engage students and improve learning. Dana earned her undergraduate degree at Stanford University before returning to her hometown of Chicago, where she spent her first few post-college years in the advertising industry. She joined the Number Stories team in 2014 when she began pursuing a masters degree in computer science at the University of Chicago. As Digital Technical Assistant, Dana helped transform number stories into interactive Cabri activities for the website. John Benson taught high school math full time for 42 years, 41 of those at Evanston Township High School. While at Evanston, Benson was head coach of the math team for 30 years, and an Advanced Placement Calculus exam grader for 12 years. John co-authored four textbooks, and also wrote questions for Mathcounts. He co-founded The North Suburban Math League and served as president for 31 years. Other leadership experience includes being the site leader for The American Regions Mathematics League at Iowa, and president of The Metropolitan Mathematics Club of Chicago and the Council for Presidential Awardees in Mathematics. He has received numerous awards including the Presidential Award for Teaching Mathematics in Illinois, the Al Kalfus Award, the T.E. Rine Award, the Edith May Slyffe award, Phebe and Zephaniah Swift Moore Teaching Award, and the Lola May award. He was a finalist in the Illinois Teacher of the Year award in 1996. Katie Rich came to the University of Chicago on 2007, after earning a B.A. in mathematics from Western Michigan University (2005) and an M.A. in learning sciences from Northwestern University (2007). She has spent much of her career as a writer and editor of a variety of University of Chicago School Mathematics Project (UCSMP) materials for grades K-12. Katie is a lead content developer for the Number Stories project and enjoys the challenge of designing authentic, engaging problems for solvers. She is interested in learning how technology can transform the way that students (and others!) understand and use mathematics. Her current research pursuits include investigating the affordances and constraints of digital manipulatives compared to their physical counterparts and investigating how dynamic mathematical tools can shift pedagogical focus away from procedures and toward concepts and applications. Lena Phalen served as a Research Specialist in Educational Technologies at the UChicago STEM Education. She graduated from the University of Chicago with a degree in Public Policy in 2013, and worked as a programmer and researcher for various education websites produced by the organization. She contributed to the Number Stories project from June 2014 - May 2015 programming problems in Cabri as well as authoring a few of her own. Nicole Carlson joined UChicago STEM Education in July 2014. She earned a BA in Integrated Science, Math, and Physics from Northwestern University in 2008 and a PhD in Physics from the University of California Berkeley in 2012. After graduating, she worked at the Exploratorium in San Francisco doing informal science education and at a startup as their Tech Support/QA Manager. 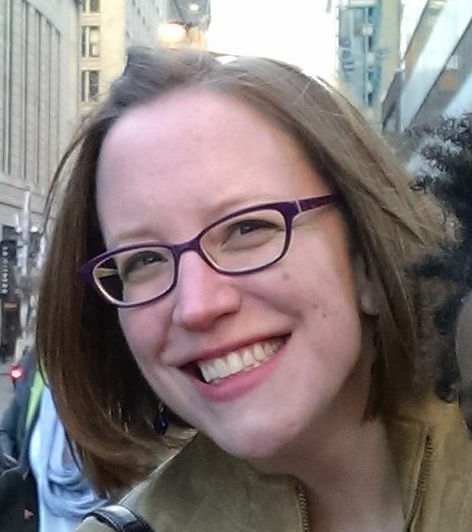 At UChicago STEM Education, Nicole manages the projects for the Digital Curriculum Group. Her interests include education technology, informal STEM education, and increasing diversity in STEM fields.